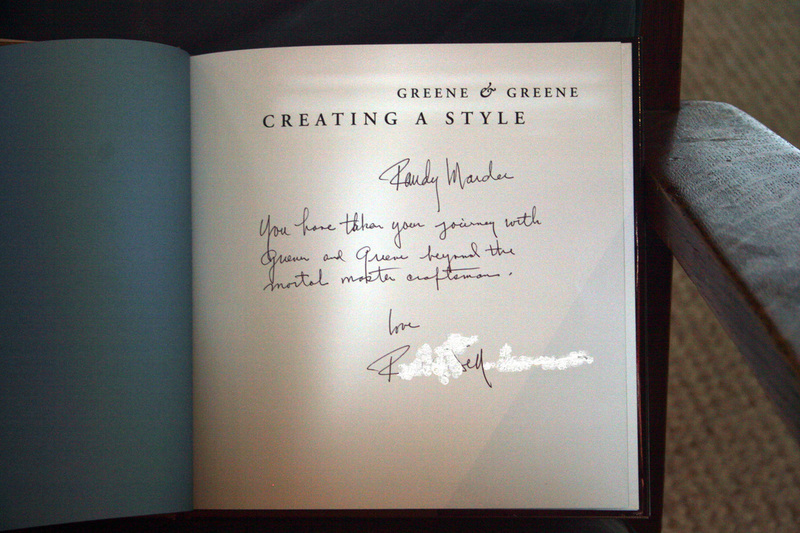 You have taken your journey with Greene and Greene beyond the mortal master craftsman. 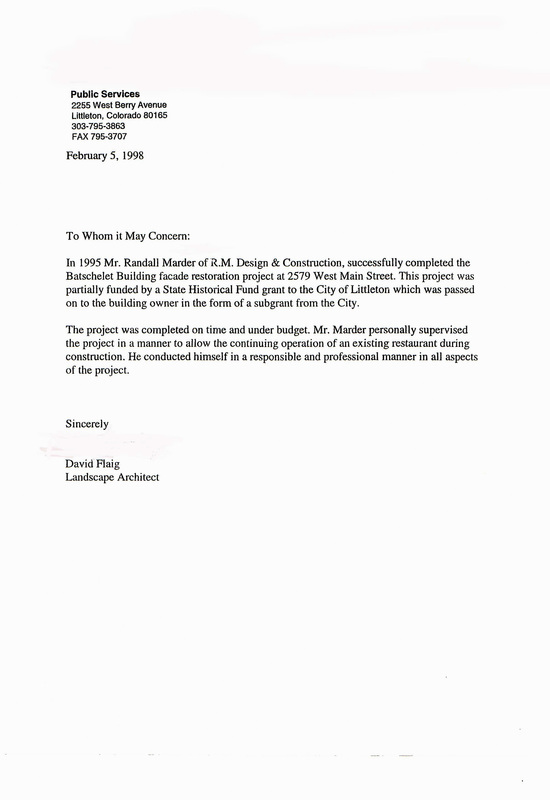 We want to thank you, again, for the work you did for us on the two houses in Cripple Creek. You saved our Victorian windows and they are in great working condition, now. They are vastly superior to crummy, expensive, new windows that don't even fit their openings. 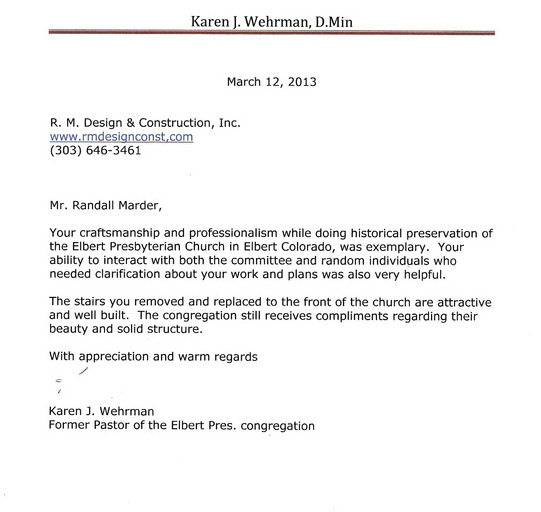 You are knowledgeable in every aspect of restoration, we would always consult with you, first and last. You taught us a lot, and we respect how careful you were with stretching our funds, and working to recover grant monies. We found you easy to work alongside, and generous in teaching us restoration skills. Please use us, if anyone asks you for a reference. We discovered that you are able to take chaos, and swiftly sort it into functioning beauty. You are sincere, honest and a master craftsman. THE FEW REMAINING vintage homes in Los Angeles are highly prized bits of living history. Often as not, however, time has not been kind: Foundations may be eroded, windows smashed, roofs substandard, outer walls rotting beneath aluminum siding, ceilings lowered and spacious rooms chopped into apartments. Period homes require restoration experts. Aided by old books, photographs and blueprints, these historical detectives evaluate clues found beneath loose bricks or wallpaper to determine how a historic house once appeared and how to restore it. They know where to find materials and ornaments no longer produced. They know how to make additions, modifications and perhaps even improvements in the exact style of the original. Architect/structural engineer Melvyn Green, for instance, completely refurbishes old buildings from the foundation right up to the weathervane. He prevents and repairs earthquake damage and works with City Hall "to respect, preserve and maintain the beauty of Los Angeles' early homes." Designer/engineer Tom Witt of Quali-Craft has a vast library of vintage blueprints. His delightful period additions include a 12-sided dome and coved, back-lit stained-glass bedroom ceiling that made a Tudor house in Seal Beach into a historic showplace. The Bundy Estate, the Jolson Estate, the old Wrigley/Tournament of Roses House and the Gamble House/USC have been restored by designer/contractor Randall Marder. His work includes the repair of the homes' fine woodwork and antiques. ​When we bought our Victorian home in 2017 we were in search of someone who could restore it to its original state as much as possible while making it livable for us. 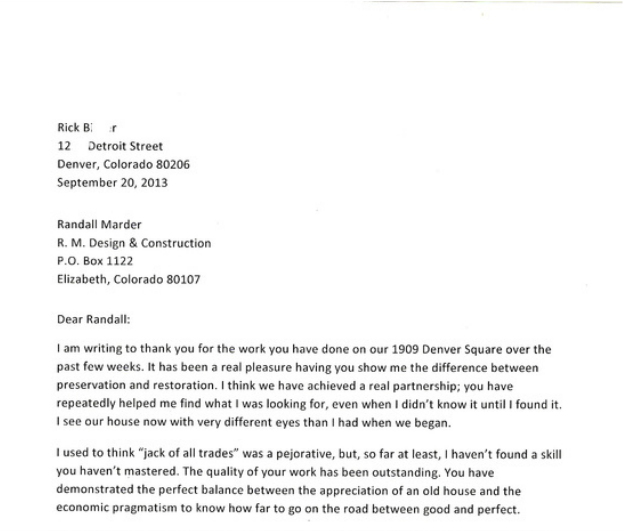 Historic Denver recommended Randall and we liked what we learned about him. After meeting him and getting his perspective on our home, we knew he was the right contractor for us. It was clear that he was an expert on older homes and we trusted him immediately. He helped us to understand the house and all its charm and helped us think through ideas for how to make it work for us. We were happy to wait in line for 3-4 months for his services. Randall took up old flooring in the upstairs that was covering beautiful original fir and refinished the upstairs hallway floor. He removed layers of paint to expose original trim in our upstairs bedroom. He also took time to learn about the home and found and repaired areas of our walls so that the house would be in good shape for future remodeling. After working on the house for a couple of months, our needs changed, and we made the decision to focus on finding a forever home that would meet our needs for the long-term. Randall understood and was quick to develop a plan for putting the house back together. Thanks to his experience and smarts, he had held on to the newer materials that he had removed in parts of the home that we decided to stop renovating; this made it possible for him to put the house back together without purchasing new materials. He remained dedicated to fine craftsmanship while understanding our need to move quickly and to not spend a significant amount of money on getting things back in order. He also made the house more livable for us by creating a space for a washer/dryer upstairs and took on the role of handyman. We could not have asked for a better contractor to work on our house. Randall communicates well and often and we knew what was happening at all times – even while being out of town. He always made sure we were comfortable and at home in the house while it was being repaired. Randall is genuinely nice person and great to work with. He puts his clients and their needs first. We feel lucky to have found him and recommend him to anyone with an older home who's looking to take it back to its original form or to update it for modern living.